If you don’t fancy a walk then live music bar the Spread Eagle is literally on the doorstep of our York hotel. This down to earth pub has established itself as part of York’s live music scene with regular events and DJ nights. Also close to our boutique hotel, this Walmgate pub is a purveyor of famous ales and pie and is the perfect, hearty Yorkshire pub. Enjoy a pint in its cosy interior with traditional décor and indulge in its excellent classic pub food. This famous pub in the heart of Stonegate has an 18th-century sign spanning across the medieval street in one of the most photographed places in York. Ye Olde Starre Inne is York’s oldest continuously licensed pub and the perfect place to visit if you want to explore a piece of York’s history and experience a charming pub with old world character and tradition. 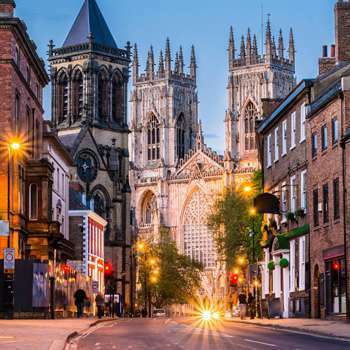 Just a stone’s throw from top tourist attraction the stunning York Minster, The Guy Fawkes Inn is built on the very spot the conspirator was born. Become a part of history while you enjoy your pint in this Grade II listed building dating back to the 18th century. 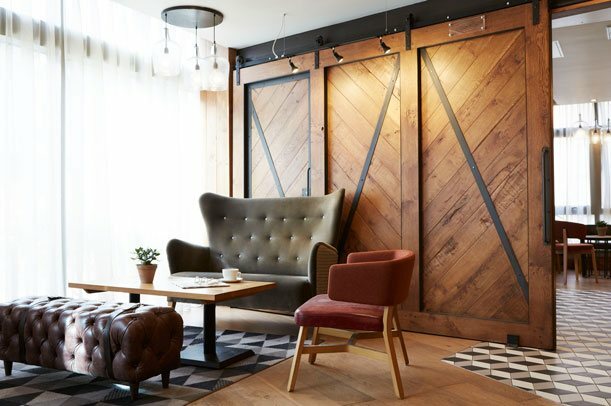 It’s interior of exposed wooden beams and authentic gas lamps create the ideal ambience for a cosy Sunday afternoon. Also, just outside of the City Walls, near our Walmgate hotel, is the Rook and Gaskill, an award-winning pub. With an excellent selection of cask ales, craft keg, ciders, wine and spirits, you can’t go wrong! The neighbourhood pub also offers a great selection of food including stone baked pizzas and sharing platters. 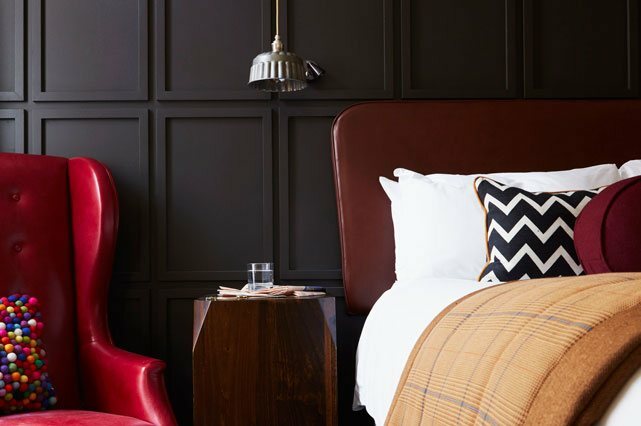 This small, traditional pub is wood-panelled with Edwardian décor housed in a grade II listed building that has remained unaltered since 1903. It’s York’s smallest public house and the first pint was poured here in 1798! Don’t be fooled by its unassuming outside façade, this tiny pub is a real hidden gem. 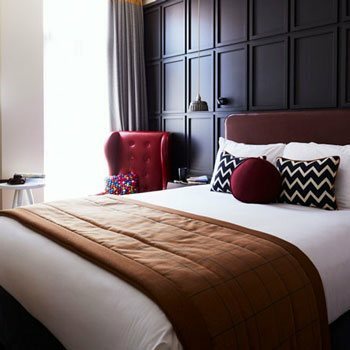 Hotel Indigo York is a 101-room luxury, boutique hotel in York, conveniently located near many of York’s top attractions. For more information call the York hotel on 01904 231 334 or email us. The best part about staying was the breakfast, there were so many choices! We really enjoyed our stay.